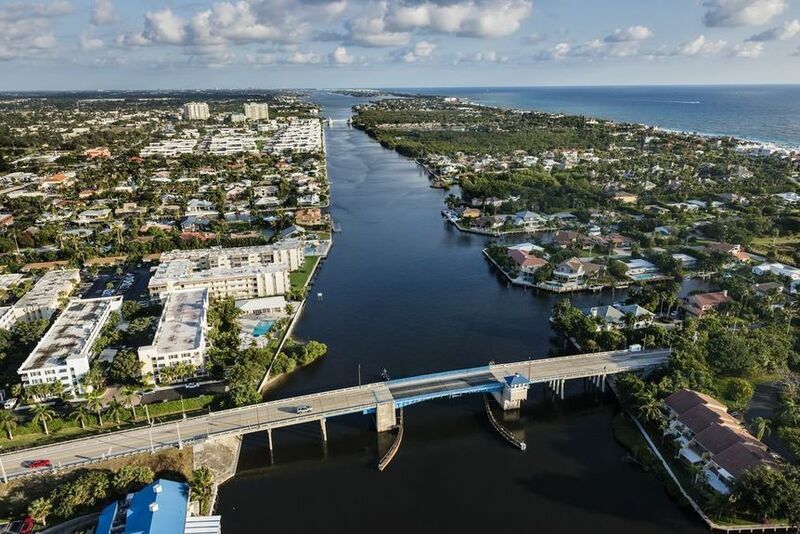 Check out these great Boynton Beach real estate listings or scroll down to read about Boynton Beach, view demographics and learn about Boynton Beach schools. Call (561) 322-3330 to speak to a Boynton Beach realtor now! Check out the latest Boynton Beach statistics available, including crime rates, cost comparisons and population growth. Call (561) 322-3330 to speak to a Boynton Beach realtor and specialist now. Boynton Beach is located in Palm Beach County. It is north of Delray Beach and south of Lake Worth. It is west of Ocean Ridge, Briny Breezes and Gulf Stream, all small communities along the ocean. Boynton Beach is named after American Civil War major Nathan Boynton. He came from Michigan and fell in love with all the sunshine so he built the Boynton Hotel. His family wintered yearly at his hotel. The Town of Boynton was incorporated in 1920. In 1926, the Seaboard Air Line Railway entered Boynton. It spurred land development a mile inland, near the Seaboard Station. In 1931, a portion of the town split off naming itself Boynton Beach. In 1939, that portion changed its name to Ocean Ridge, allowing the Town of Boynton to take that name in 1941. Many dairy farms were formed over time in the west. At one point it was the main milk supplier for all of Palm Beach county. In the 1970's, these dairy farms were no longer profitable so they were converted to housing developments. The municipality consists of 16.25 square miles of which 15.88 square miles are land and .37 square miles are water. It is home to the Boynton Mall, Bethesda Memorial Hospital, St Vincent de Paul Regional Seminary, Canyon District Park and the Canyon Amphitheater. Other popular places include the Boynton Harbor Marina, Ocean Front Park and the beautiful Atlantic ocean. It contains housing of all types and ages, planned communities, gated communities, country clubs, restaurants, movie theaters, shops and more. It is about 25 miles away from Palm Beach International Airport and about 30 miles away from Fort Lauderdale-Hollywood International Airport. It is lovely place to visit and a great place to live. Call (561) 322-3330 to speak to a Boynton Beach realtor and specialist about Boynton Beach homes for sale, commercial and investment property, Boynton Beach real estate and rental apartments or scroll down to learn about Boynton Beach schools, statistics and demographics. Use the links below to explore Boynton Beach homes for sale and real estate in these great Boynton Beach communities or call (561) 322-3330 to speak with an Boynton Beach realtor. Our professional RE/MAX realtors are standing by waiting to help you now. Use the links above to view homes for sale in these Boynton Beach communities or call (561) 322-3330 to speak with a Boynton Beach realtor and specialist. A professional RE/MAX realtor is standing by waiting to help you. Learn more about Boynton Beach schools, complete with school ratings and contact information.